The colourful world of figurines may often be associated with anime fans, movie buffs, and hobbyists, but there is a growing section of graphic designers who are making their mark as creator-collectors. 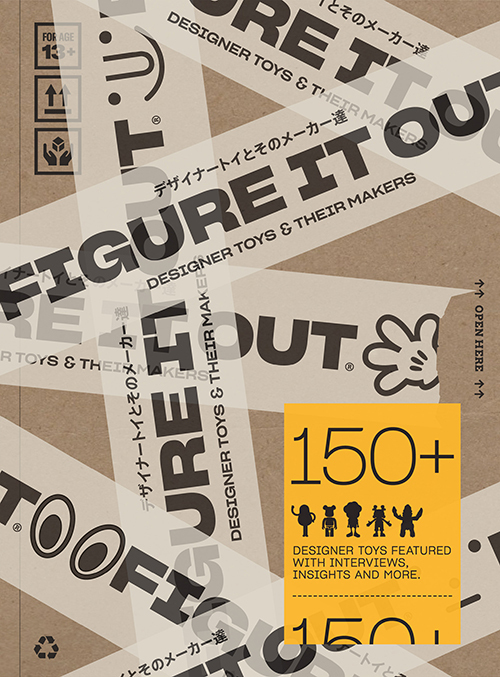 Figure It Out turns the spotlight on the talented creatives who apply their artistry beyond two-dimensional surfaces onto unique collectibles that blur the line between toy and art. Featuring a wide curation of projects, behind-the-scene snippets, interviews as well as insights into the materials and processes involved, it takes a closer look at a rising trend in design and pop culture where the only limit is one’s imagination.